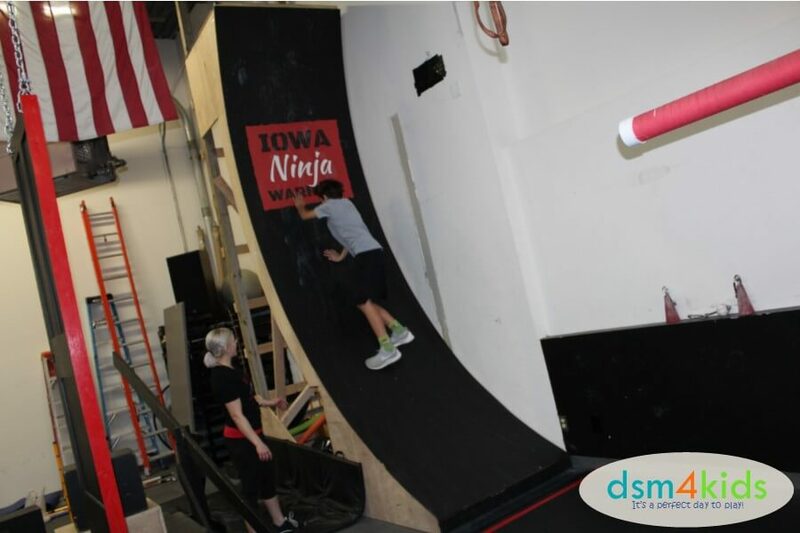 The downtown Fitness Center has everything you need and more for the perfect Ninja Warrior birthday party. 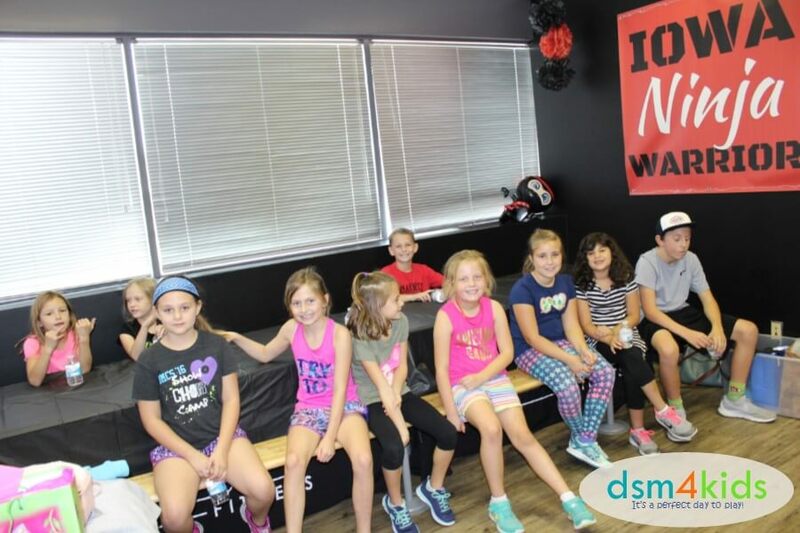 Their party leaders will run your birthday party guests through an obstacle course which includes a warped wall, quintuple steps, monkey bars, and plenty of stuff to climb, swing and jump on! Making a party reservation was fairly easy. Party times are offered on Friday, Saturday and Sunday and can be booked on-line. You will have to create an account on TGR Fitness’ website to book a party. Once the party was booked, I received an emailed receipt confirming the date of the birthday party along with the information that someone would contact me closer to the party date to confirm the number of attendees. You can also call to schedule a party, if you prefer. In addition, you will receive an email to remind parents that they will need to sign a waiver. This can be done on-line, or they had several forms available for parents to sign when they were dropping their kiddos off the day of the party. Party will last for a total of 90 minutes. Rented out facility with a Party Leader. Admission for up to 10 kids included (additional cost of $20 per guest over 10). Admission for a maximum of 20 kids allowed. Authentic ninja warrior obstacle lessons and practice. Use of party room for presents, food, cake and/or snacks (to be supplied by the party hosts/guests). Set-up and clean up to be handled by TGR Fitness. Waivers required for all participants. On the day of the party you may want to get to TGR Fitness a few minutes before the party starts so, you can deliver any food or drink to the party room and be there to greet guests as they come in. Once most of the party guests have arrived they will make their way to the training room. 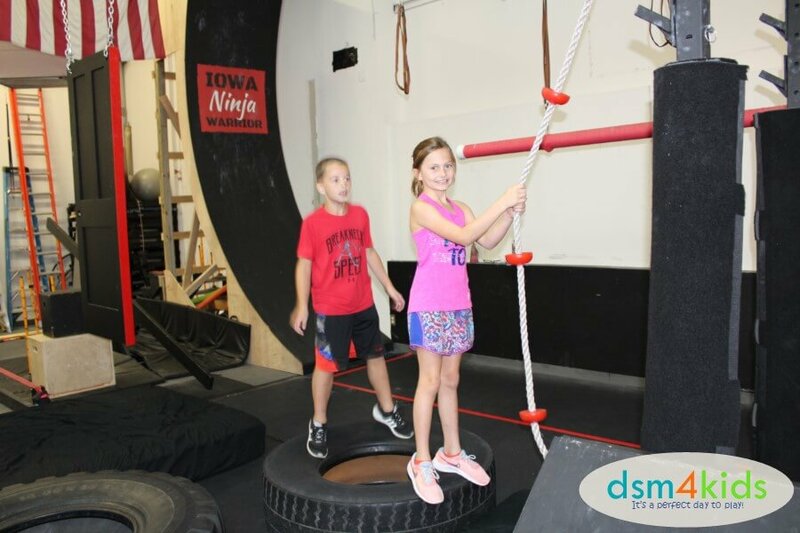 Your ninja warrior birthday party is led by a professional “ninja warrior coach” that will demonstrate and help the kids complete each obstacle. Once the kids have made their way through each obstacle as a group they have a little bit of free time to go back to their favorite obstacles and give them another try. Once they’ve completed the training portion of the party, it’s time to make your way to the party room.This is the time for the birthday kiddo to open their gifts and enjoy some of her birthday party snacks. You are welcome to bring a birthday cake or cupcakes and drinks to the party. You can also bring other food like pizza, veggie/fruit platter and chips/dips if you would like. I want to be sure to recommend that you bring along plenty of water. The kids stay pretty active for an hour and can get really thirsty. I brought along paper plates and napkins, but noticed that they also had them available in the party room. There’s also a small refrigerator and microwave available to use. Favors are not included in the party package. My daughter, for some reason, wanted to give out Whoopy Cushions. It would also be cute to give out water bottles, sweat bands or socks, if you’re looking for a favor idea. This honestly, was one of the easiest birthday parties we’ve ever hosted. The kids were kept busy the whole time and were worn out at the end of the party. You do have to bring and hand out the food, if that’s something you choose to do, but keep it simple and even that can be easy. 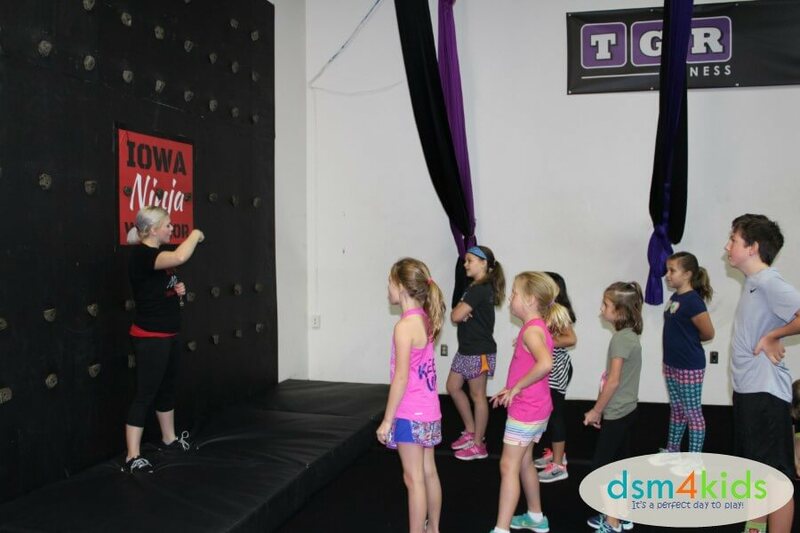 Have you hosted a birthday party at TGR Fitness in Des Moines? If so, give it a shout out in the Comments below!